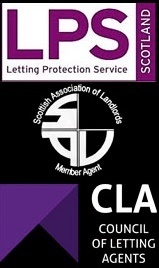 Central Letting Services aim to make renting a property in Glasgow a smooth and easy process to avoid stresses that are generally involved in moving home. We understand that fundamentally professionals and executives have busy lives and never enough time so we have tried to make our letting process obstacle free. It is wise to start looking about a month before you wish to move, as the most desired locations are viewed and reserved quickly. Our tenancies are granted for a minimum term of 6 months. The first step is to contact us to provide brief details about yourself and about the accommodation you require. We then search our database for suitable properties for you to view. If not urgent, we will log your details so that we can contact you as suitable properties become. As part of our service we inform the gas, electric, and council tax on your behalf to make that move a little easier available. Found the right place, what’s next? Once you have decided on a property, we will complete your details in a prospective applicant form. In order for you to be considered as a tenant we will require you to provide to us a full tenant reference report in a format that we accept. 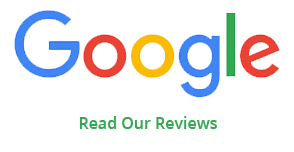 Once you have provided to us your full tenant reference report we will process your application, if you are accepted as a tenant we will notify you by email or post. We will also provide to you a draft copy of the tenancy agreement and balance due to be paid. If you are happy to proceed with letting the property under the terms of the tenancy agreement Central Letting Services will require you to pay the deposit within two days of receiving the draft copy of the tenancy agreement and balance. If you do not meet the minimum requirements as a tenant and require a Guarantor, Central Letting Services will charge each Guarantor to process their Guarantor application. 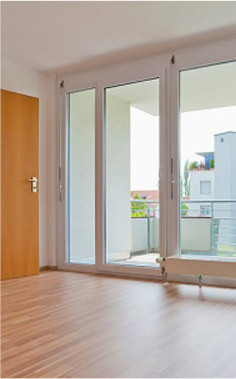 A security deposit of a minimum of one month’s rental will normally be required. The deposit is held in a registered government deposit scheme to cover damage, breakages, and any other liabilities under the terms of your tenancy agreement. We will happily accept most tenants but due to various factors, including insurance, we do ask that any person who wishes to rent with us meets certain criteria. A tenant must meet the income requirement : Minimum annual income must be 30 x the monthly rent / share. Proof of income must be provided – current P 60 , employment contract or wage slips ( last three months ). If you don’t meet some of the requirements then all is not lost. We have another option available to you. A Guarantor, a fee will be applied to the guarantor for the application of this service. If you find that you need a Guarantor, no matter what the circumstances, they must be a U.K home owner and must be earning or receiving in pensions (or a combination) 36 x the monthly rent. Guarantors must be aware that they will be required to sign a legal deed; this deed agrees that they are responsible for the tenancy in the same way as the tenant; the rent, any dilapidations to the property and also any legal fees that are due from the tenant but not paid. Make sure your proposed guarantor understands this at the outset. After the initial process and all relevant checks have been completed we will confirm the details with the Landlord. When we are happy to proceed with the tenancy we will email you the draft lease agreement and confirmation of the balance payable on move in date. will be sent to you (usually by email). Should you have any comments or questions, they should be raised as soon as possible after receipt. Central Letting Services will be your first point of contact for any issues relating to a managed property. We will do our very best to resolve any issues or concerns you may have. If you have any maintenance or other issues to report please contact us. Before your tenancy finishes, we will ask if you wish to extend your tenancy. We do not charge you any fees to extend the tenancy and we will advise you on the procedure to extend. If you decide to end your tenancy and once we have received your notice to end within the correct terms of the lease we will advise you on the procedure to end the tenancy.